There were times when it all felt overwhelming, like the weight of the world was bearing down a million tons at a time. Here she was, an African American woman soon to be a single mother, trying to complete her summer associate position while the final year of law school—a white, male dominated field—loomed on the horizon. As Joy White reflects back on the literal and figurative trials that marked her early career, blessed with two growing boys and a job she loves, she admits those moments of doubt were inevitable. But not succeeding? That was never an option. Two weeks after giving birth to her first son, White returned to Vanderbilt University Law School, where she earned her J.D. the following spring. From there it was back to King & Spalding LLP, the firm that had supported her during the most difficult year of her life. Five years later, White started her own practice. 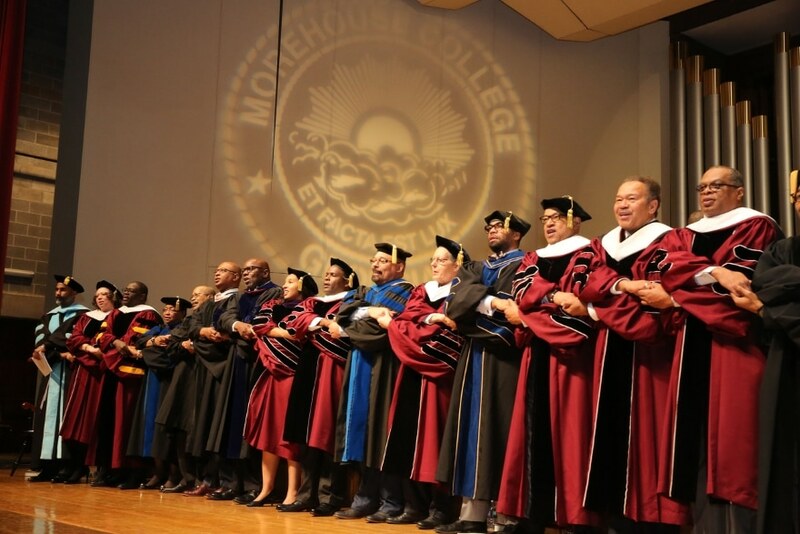 Now, as general counsel (GC) for Morehouse College, the only all-male, historically black college in the world, White has never felt more at home. 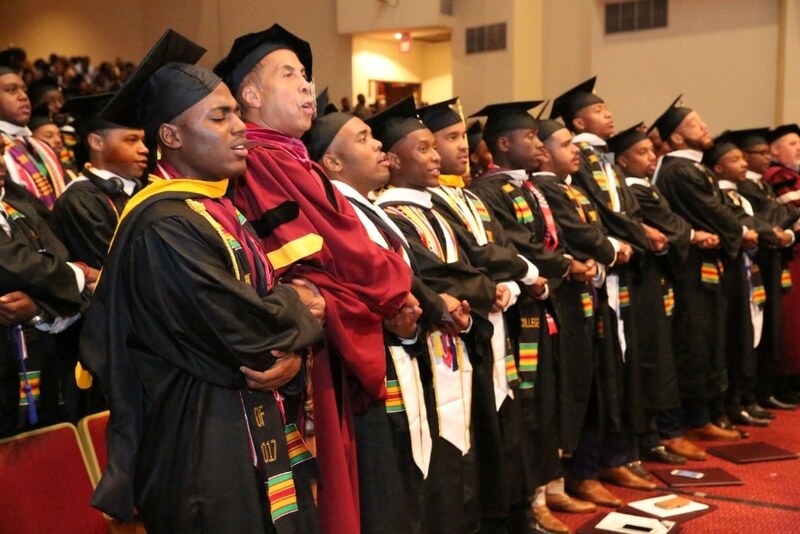 Founded in 1867, Morehouse’s story—alma mater of Dr. Martin Luther King Jr. (among other prominent civil rights activists) and one of the nation’s first historically black colleges and universities (HBCU)—is one that White couldn’t help but embrace. But with Morehouse mired in a maelstrom of critical press, much of it stemming from issues relating to Title IX, White knew there was no time for a honeymoon period. White’s docket had been lightened somewhat when she spoke with Vanguard in early February, with HR oversight and Title IX compliance now mostly off her plate. Though the new role—vice president of legal affairs, general counsel, chief compliance officer and college secretary—remains quite the mouthful. 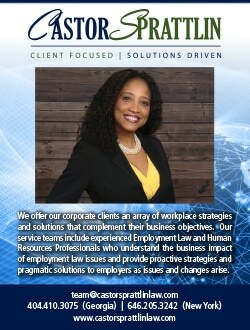 As general counsel, it’s White’s job to select outside counsel in the event of litigation against the College, resolve employment disputes, protect Morehouse’s intellectual property portfolio, and more. When it comes time for the College to pursue a legal course—say, to what extent it should pursue damages for a breach of contract, or whether to settle a lawsuit out of court—White’s role as general counsel gives her a seat at the decision-making table. The title isn’t all about institutional risk-management, however. Indeed, minutia abounds, from liaising with students to working with the internal audit function in developing a new enterprise risk management platform aimed at providing leadership in the school’s reaccreditation efforts (which entails meeting more than 200 standards). She might say the same about helping oversee the school’s 40-person board of trustees, whose members include the American Civil Rights icon Ambassador Andrew Young and CEOs from Coca-Cola and Chick-fil-A. In addition to organizing and scheduling the board’s two-day quarterly meetings, White also records the minutes, handles all travel itineraries (including lodging and transportation), and provides real-time legal and governance counsel during the meetings. All while keeping tabs on the board’s 14 individual committees. Nowhere more than in the realm of Title IX. Since joining Morehouse in 2016, White has worked overtime—alongside the board and other internal stakeholders—to ensure the school’s compliance posture remains ironclad. 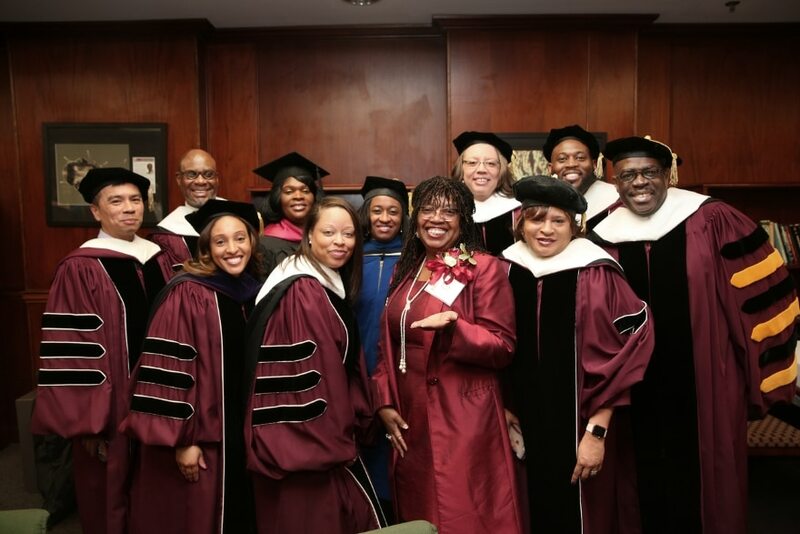 For the 2002 graduate of Spelman College, Morehouse’s sister school, fostering an environment of acceptance and inclusion isn’t merely a professional fight; it’s a personal one. If you ask a room full of lawyers which TV shows most inspired their professional path, be prepared to hear a lot of the same answers: Perry Mason, L.A. Law—you know the list. White’s spark came from a sitcom. Specifically, from Phylicia Rashad’s stereotype-shattering turn as lawyer-supermom Clair Huxtable on The Cosby Show. 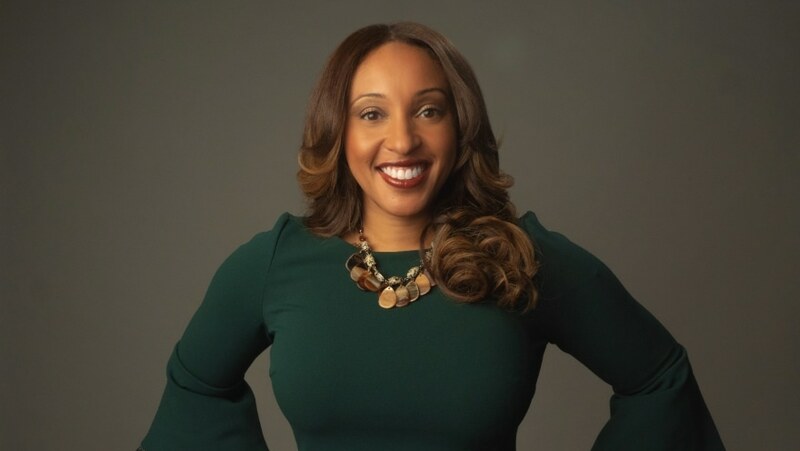 At Atlanta’s Spelman College, one of the country’s most prominent HBCUs, White continued to excel, graduating with highest honors in 2002 and earning a ticket to the prestigious Vanderbilt University Law School. 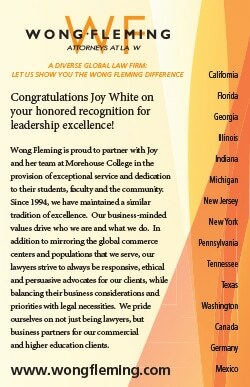 It was during her second year that White got her first taste of corporate law. After participating in one of the school’s on-campus summer associate interviews, White was invited to interview with attorneys from King & Spalding at the firm’s Atlanta headquarters. But flying business class wasn’t the only first for White that weekend. “I think it was the first time I’d ever been through a revolving door,” White recalls with a laugh. “And I knew I’d never stayed in a Ritz-Carlton before. I felt like Lucile Ball,” she adds, referring to the 1950s TV star famous for her comedic foibles. To no one’s surprise, White landed the summer associate position, scheduled for the summer before her final year of law school. When she discovered she was pregnant, however, White was unsure how having a child might impact her chosen career—concerns that were quickly allayed. After earning her J.D. 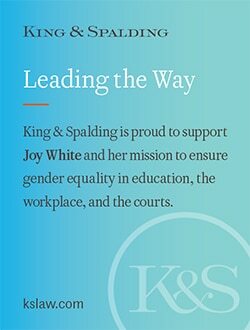 in 2005, White would spend the next five years at King & Spalding, where she handled everything from employment law to antitrust litigation. But by 2010, now with two small kids in tow and the billable hours piling up, White was ready to hang her own shingle. In launching The White Legal Group, LLC, White got a front-row seat to the business side of running a law firm—experience she cites as invaluable, even if a bit overwhelming. In 2013, White cofounded another practice—McFadden, White, Sprattlin & Davis, LLC (MWSD). After closing The White Legal Group, MWSD gave White additional proving grounds for her bourgeoning business acumen. 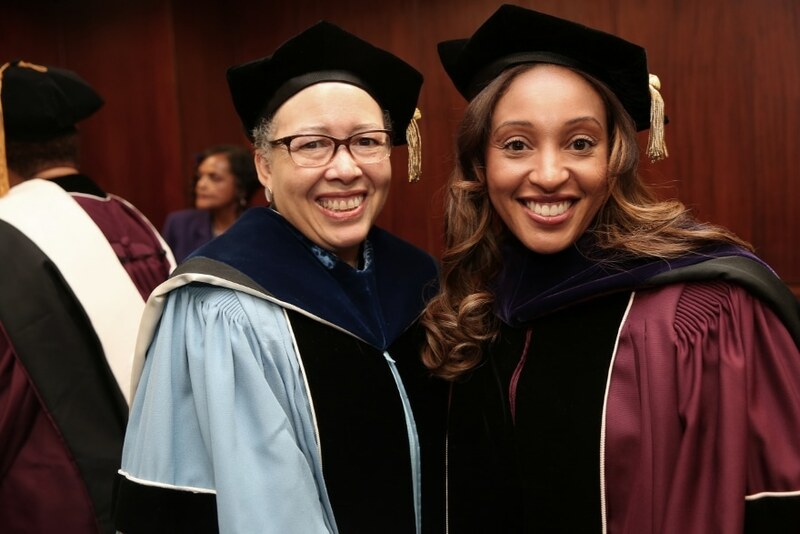 When she was approached by Morehouse’s former general counsel about joining the college’s legal team—a prospect that included a more predictable, family-friendly schedule—White jumped at the opportunity. 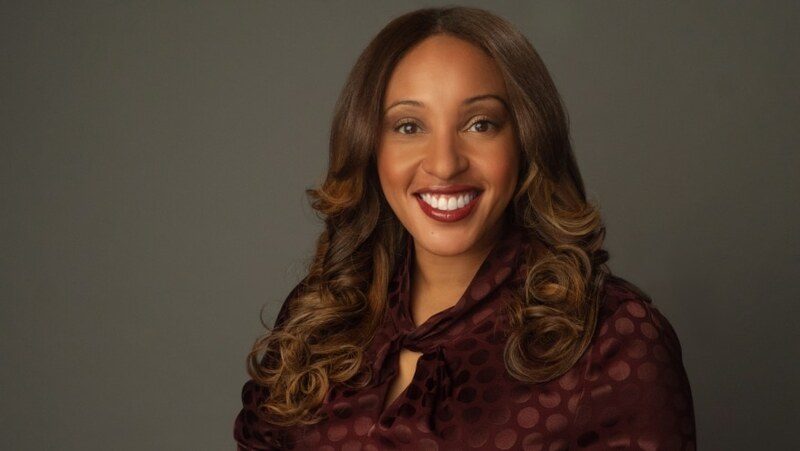 Three years later, White says the learning curve has softened somewhat (as has the workload), though her drive to succeed in a profession where African American women have been historically shunned is sharper than ever—and contagious. If it all sounds like the stuff of inspiring a memoir, fear not: White’s is already in the works.